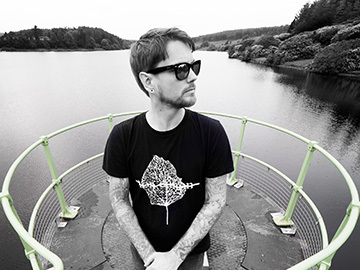 Gaz Brookfield made his debut at Wickham Festival in 2017, performing a solo accoustic set. His performance caused quite a stir with many requests for him to return, so he’ll be back on Saturday 4th August 2018 with his Company of Thieves to entertain us with a full band line up! This is one not to be missed. Since winning Acoustic magazine’s 2010 Singer Songwriter of the year, Gaz Brookfield has spent his time on the road, touring the UK and Europe. In this time he has shared the stage with the likes of The Levellers, Frank Turner, New Model Army, Nick Harper, Newton Faulkner, Miles Hunt, and Seth Lakeman. His latest studio album I Know My Place is out now, available on CD, limited edition 12″ Vinyl and digitally from Bandcamp. All of Gaz’s previous albums are available digitally on Bandcamp, iTunes, Amazon and many other digital outlets. Paul Henshaw "Hey Andy&comma; sing the Countdown theme tune to Frank dog&comma; don&apos;t go too close&comma; he&apos;ll bite your face"&period; "You&apos;re all right Paul&comma; thanks"